Start Here if you don't know what the fudge nugget a chakra is. Scroll down to the bullet points for symptoms of an underactive or overactive root chakra. We’ll start at the very beginning… it’s a very good place to start. The First Chakra is the Root Chakra, (aka the Base Chakra or muladhara in sanskrit). It is located at the base of your spine at the tailbone. 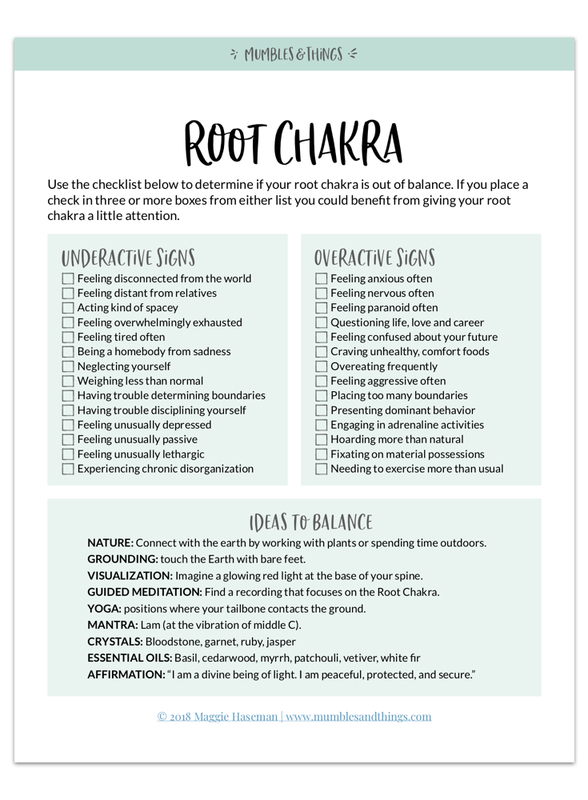 This amazing chakra is aptly named because, like the roots of a tree, it is your connection to earth’s energy and the material world. It governs your survival instincts and your need for basic necessities like food, shelter, and clothing. The root chakra helps revitalize your overall well-being and keeps you grounded. 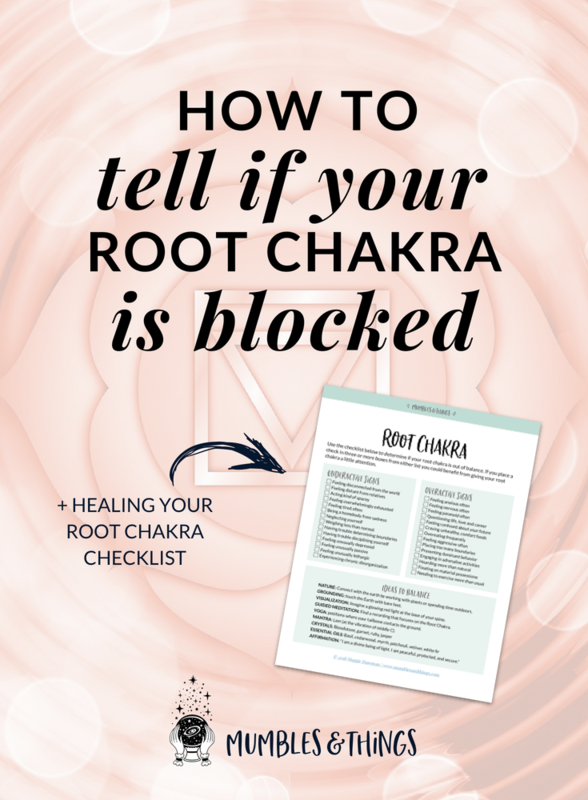 If you’ve ever felt anxious, stressed, unsettled, scattered or insecure, your root chakra was out of whack. And just like a game of Jenga, if the base is unbalanced all the pieces above fall out of place too. 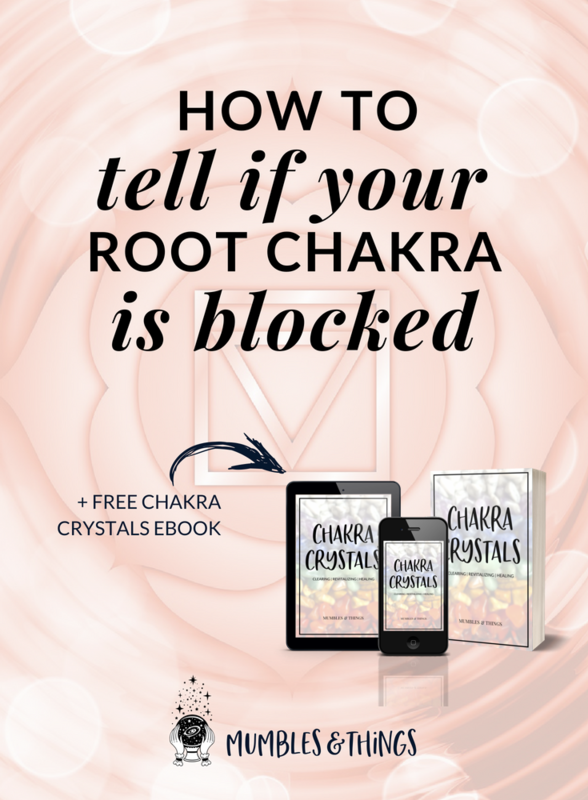 It’s time to heal from your foundation and work your way up the chakra system as soon as disconnected feelings of any shape or form creep into your body, mind or spirit. Connecting with the earth, whether that means working with plants or spending time outdoors. Ground yourself by standing up straight with your feet rooted to the earth. Close your eyes, focus on your feet and breathe deeply. Close your eyes and imagine a glowing red light at the base of your spine. Watch it grow. Mantra: Lam (at the vibration of middle C).